Hebrew author; born in 1865. He represents, to some extent, the Nietzsche school of philosophy in the Hebrew literature of the present day. 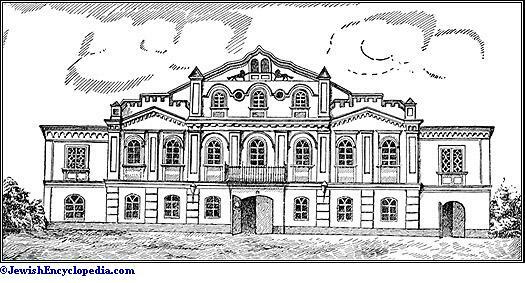 The son of the rabbi of Bershad, Podolia, Berdyczewski received a Talmudical training at home and later at the yeshibah of Volozhin, of which institution he wrote a short history ("Ha-Asif," iii. 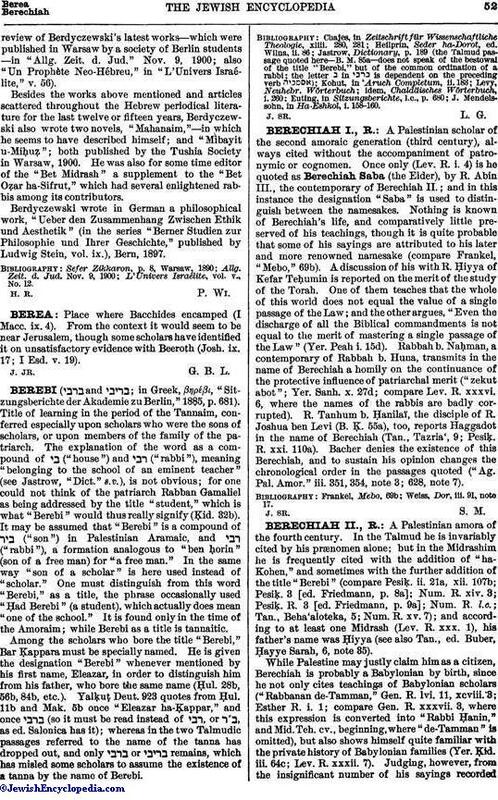 231-241) and a somewhat fantastic description ("Ha-Kerem," 1888, pp. 63 et seq.). His acquaintance with modern literature, which he formed clandestinely in his younger days, soon led him to abandon his former conservatism and to become a freethinker. 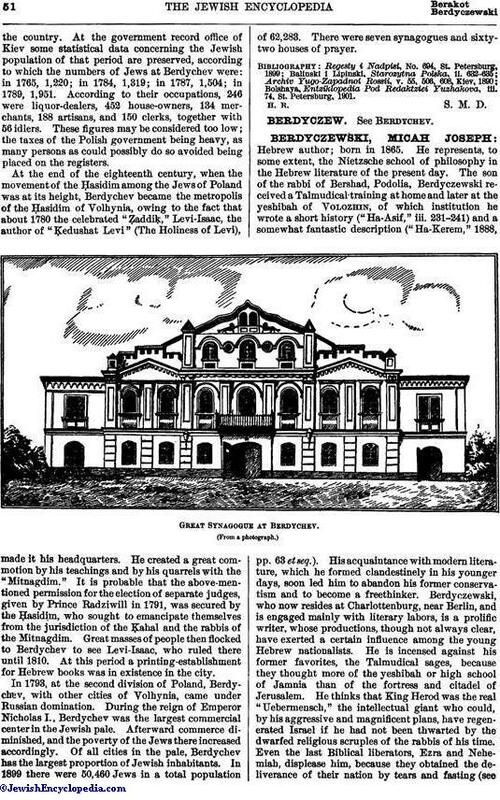 Berdyczewski, who now resides at Charlottenburg, near Berlin, and is engaged mainly with literary labors, is a prolific writer, whose productions, though not always clear, have exerted a certain influence among the young Hebrew nationalists. He is incensed against his former favorites, the Talmudical sages, because they thought more of the yeshibah or high school of Jamnia than of the fortress and citadel of Jerusalem. He thinks that King Herod was the real "Uebermensch," the intellectual giant who could, by his aggressive and magnificent plans, have regenerated Israel if he had not been thwarted by the dwarfed religious scruples of the rabbis of his time. Even the last Biblical liberators, Ezra and Nehemiah, displease him, because they obtained the deliverance of their nation by tears and fasting (seereview of Berdyczewski's latest works—which were published in Warsaw by a society of Berlin students—in "Allg. Zeit. d. Jud." Nov. 9, 1900; also "Un Prophète Neo-Hébreu," in "L'Univers Israélite," v. 56). Besides the works above mentioned and articles scattered throughout the Hebrew periodical literature for the last twelve or fifteen years, Berdyczewski also wrote two novels, "Mahanaim,"—in which he seems to have described himself; and "Mibayit u-Miḥuẓ"; both published by the Tushia Society in Warsaw, 1900. He was also for some time editor of the "Bet Midrash" a supplement to the "Bet Oẓar ha-Sifrut," which had several enlightened rabbis among its contributors. Berdyczewski wrote in German a philosophical work, "Ueber den Zusammenhang Zwischen Ethik und Aesthetik" (in the series "Berner Studien zur Philosophie und Ihrer Geschichte," published by Ludwig Stein, vol. ix. ), Bern, 1897. L'Univers Israelite, vol. v., No. 12.